Patriots' star receiver Julian Edelman ﻿dropped the ball when it came to his brand new daughter's birth certificate. 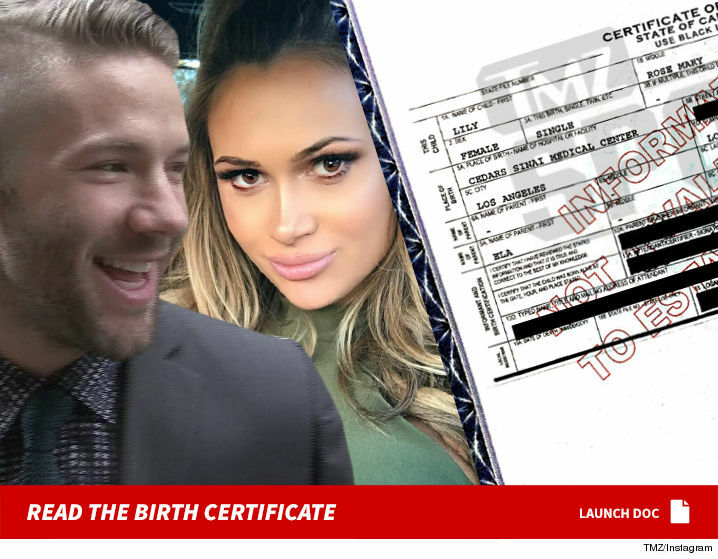 TMZ Sports has obtained a copy of Lily's birth certificate which lists her full name -- Lily Rose Mary Edelman, and model Ella Rose's name is in the "Mother" box. The "Father" box is blank. Seems weird since Julian already posted a proud papa shot -- and Ella always maintained he's the dad, even when he wasn't admitting it. We did some checking and the explanation is simple. When the parents aren't married, they both have to be present when their names are put on the certificate. Julian was already on a flight back to Boston when it was submitted. Sources close to the parents tell us Julian will be added as soon as possible. Julian Edelman -- I'M A DADDY ... Flies to L.A. for Birth of Daughter! 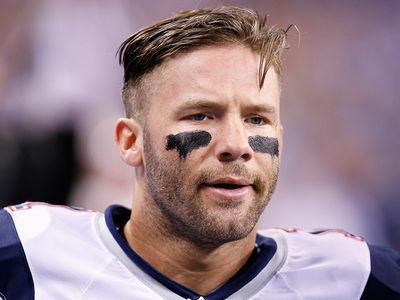 Julian Edelman -- Model Files Paternity Docs ... I'm Preggo with Your Kid!